Nylon sandbags allow you to add weight for stability in all conditions. Just fill sand or other ballast and use the velcro ties to secure the saddlebag construction to the hardware legs. 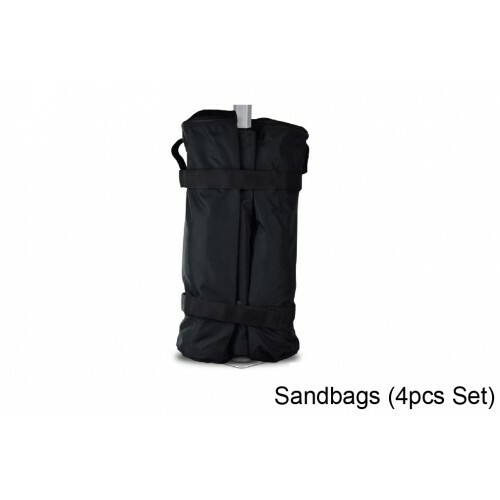 Each set includes 4 bags, each bag has two sand compartments. Capable of holding 19lbs. 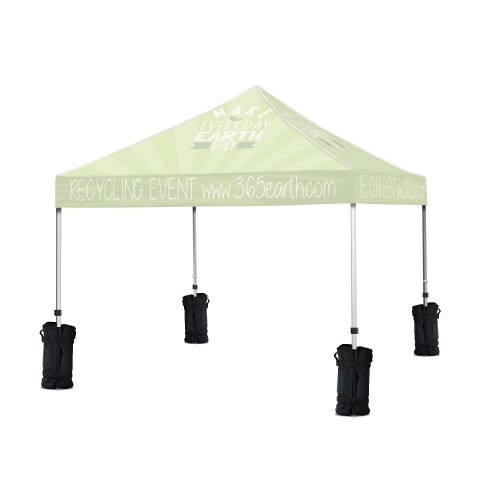 of sand each for a total 76 lbs of tent stabilizing weight.